I own an iMac, mid 2011 model, and as it currently stands it sits low on my desk as well as sitting far to forward for my liking (because if I were to push it back into the monitor alcove then I wouldn't be able to use the DVD/CD drive). 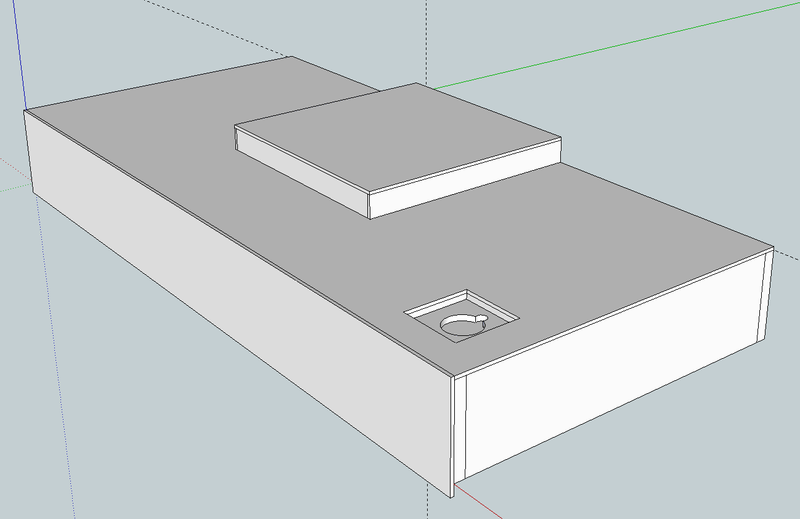 It will be made from MDF and clad in plywood of some description. The iMac foot holder (the raised part) is made entirely from plywood and is just there to make it look neat. 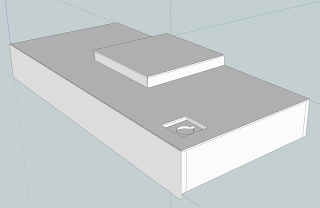 There will be room for five HDD's inside and a USB hub (as well as a Firewire hub hopefully) with easy to access cutouts. The whole unit will be connected to two or three draw sliders to make it easy to get access to the DVD/CD drive. I'm also contemplating placing NFC tags in there somewhere too so I can place my Galaxy S3 on it and have it do stuff. It's a massive work in progress, I'm not even sure if I'll go to my local hardware store to get the materials or whether I should just go with Ponoko, but I thought I'd throw it out here anyway.